The agency had to issue a blanket apology, along with multiple individual ones on Twitter, as the cut in services prevented Canadians from filing their taxes online for much of the business day. By early evening, the agency was tweeting its gratitude for the patience of Canadians, saying the hardware issue had been fixed and services were back up and running again. The agency first notified the public Monday morning that its website wasn't working, although some online users reported that tax-filing services had become inaccessible as early as Sunday night. The outage, which the agency chalked up to technical issues, affected a number of CRA services. The “My Account,” “My Business Account” and “Represent a Client” features were unavailable, along with online services to file income tax returns, report address changes or update direct deposit information. Mobile apps, too - including one to check on benefit payments - were offline. The services are used heavily at this time of year for Canadians filing their taxes. Work to fix the problem roped in Shared Services Canada, the federal government's centralized information technology shop, as a statement from the agency said officials were doing everything possible to get the sites restored. The shutdown wasn't the first time that services have gone offline for the CRA during tax season. 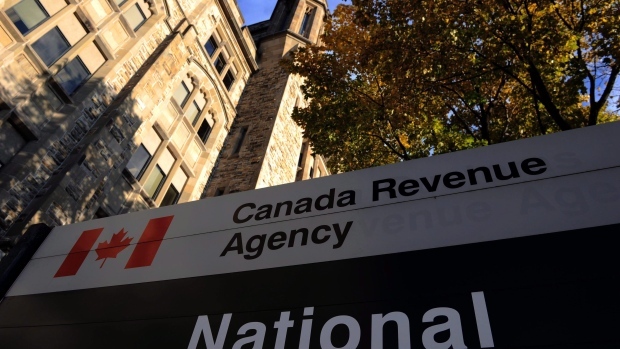 In 2017, the agency took down its tax filing service as a precaution after a breach at Statistics Canada raised concerns about vulnerabilities with the CRA system. Three years prior, the CRA system was shut down in 2014 after officials found a digital breach of its systems.